I am really excited about 2012 professionally. I am on the other side of the newborn phase, I learned a lot about blogging and writing in general in 2011 and I am looking forward to helping my family financially when I can. I don’t talk about my professional goals too often because my life is in a place right now of child-rearing and that is my absolute number one priority. And while I think balance is nearly impossible to achieve, I do think I am entering a season of work. Be that as it may, I am always looking for ways to build blog into something that can sustain a second income once the boys are off to school. This means I am always open to opportunities here and there and taking every chance I can to squeeze in some work when I can. I have some really fun stuff happening in 2012 and I am excited to share! In addition to this blog, you will find me writing for other sites around the web. Babycenter’s Blog has increased my posting schedule to twice a week so I would love to see you over there! I also do reviews over at 5 Minutes for Mom and they often include giveaways so you’ll definitely want to check that out! If you are a brand and happen to be reading this, I am always open to other freelance opportunities. If you think I would be a good fit for your site, please feel free to email me! In 2011 I wasn’t able to attend conferences due to that whole enormously pregnant and subsequent caring for a newborn thing. It was something I gladly gave up, but this year I am hoping to attend at least 2 conferences. I am planning on Type-A-Parent in June (Charlotte) and Blogher in August (NYC). The reason I think it’s important to attend conferences is that as a blogger, it’s easy to go years without actually meeting anyone in your community. Conferences allow for a face to face connection between brands, bloggers, publishers and design experts. Even though we make our homes online, we are still humans and connecting in person a couple of times a year goes a long way in building a solid community. They are great for learning, networking and just being with other bloggers. I am really excited about jumping back in! This has always been a dream, but in 2012 getting published has officially moved from the dream category into the goal category! I am beyond excited about this and will be working on the various phases of getting published. I am currently working on a children’s picture book and have a couple of other plans on tap. I had a small taste in 2011, when I had an article (page 23..ahem) and I am officially hooked for good. If you have any expertise in this area, I would love to hear from you! 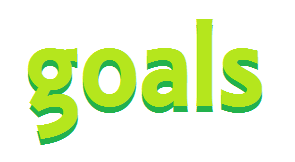 I am sharing these goals in writing and with you for two reasons. First is for myself. I needed to get them out of my head and on paper so to speak. Writing things out always makes them more real for me and acknowledging these things excites me in a new way. I am so ready to tackle each and every one of them! Secondly, I am sharing to ask you for a bit of accountability. I am probably going to get weary along the way and I will need my community more than ever. Any support or encouragement that you could spare will be an amazing boost to help keep me going. Thank you so much for reading! I can’t wait to see what this year brings. I’m sharing for the same reasons: accountability and support. I’ll hold your hand if you hold mine. What a fun post! I know you will attack these goals and have to make new ones before the year is up. Congrats on the Momformation blog schedule increase. That is wonderful! I cannot wait to meet you at Type A! It is my favorite conference of all. Have we met there before? I’ve been twice….You’d think I’d remember if we met. If you ever want to ask me about Freelance writing just shoot me an email. Basically it is just like pitching PR reps – you send the editor your story idea and sell the hell out of yourself as a writer and your story. Then wait and see if they want your story. Good luck! I love this! I can’t wait to see the awesome things you’ll accomplish this year. Because you WILL!